Husband and I are relatively healthy people but every once and awhile we get sick enough to require prescription medicine. 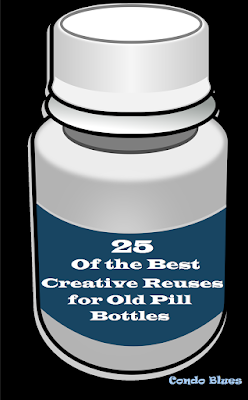 More often than not the medicine comes comes in a plastic bottle that aren’t always recyclable. I really hate tossing something like that into the trash and sending it to a landfill to sit on a mountain of garbage for a thousand years. Pin this post to get organized! Later when a messy drawer of fiddly bits drove me nuts I dipped into the pill bottle stash to organize it. Loose bobby pins? Pill bottle. Rubber bands in the junk drawer? Pill bottle. The all important Aldi quarter in the car console? Pill bottle. I got the decorative tape from a friend who doesn't let her kids have stickers. I'm sure you can guess why they lost the privilege! You don’t have to a prescription pill bottle for these hacks a vitamin or over the counter medicine bottle in the size you need will work too. I use a travel size aspirin bottle to keep allergy and headache medicine in my purse. 1. 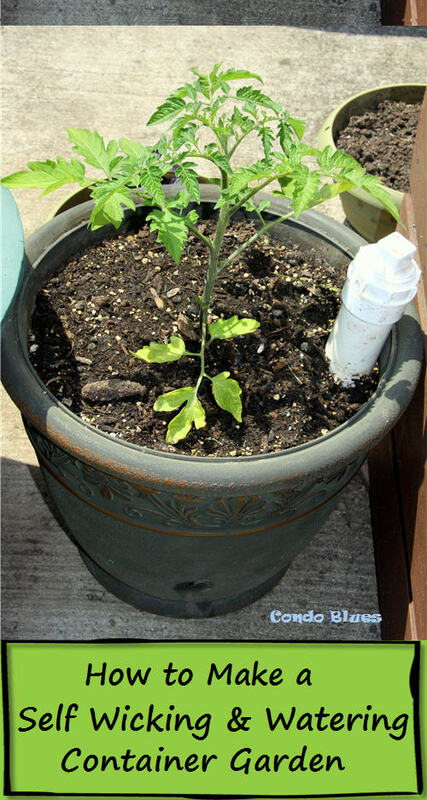 Make a waterproof money container for the pool or beach. 2. Make an on leach dog potty bag dispenser. 3. Keep matches dry for camping, cookout, or BBQ - Glue sandpaper to the lid and you’re set! 4. 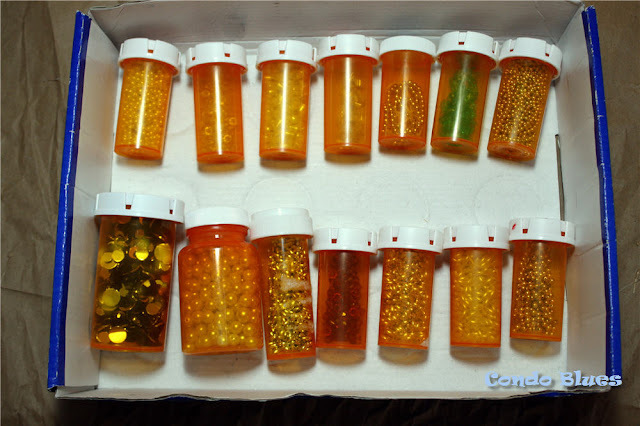 Garden pest control garland Drill holes in pill bottles and fill them with cotton balls soaked in liquids that deter deer, cats, etc. Put the caps on the bottles and hang them in your garden. 5. Drawer & closet sachets – Same idea as number 4 but fill the bottles with lavender buds or your favorite scented item. 6. To hide a geocache. 7. Make a nail polish remover jar with your favorite acetone free nail polish remover. 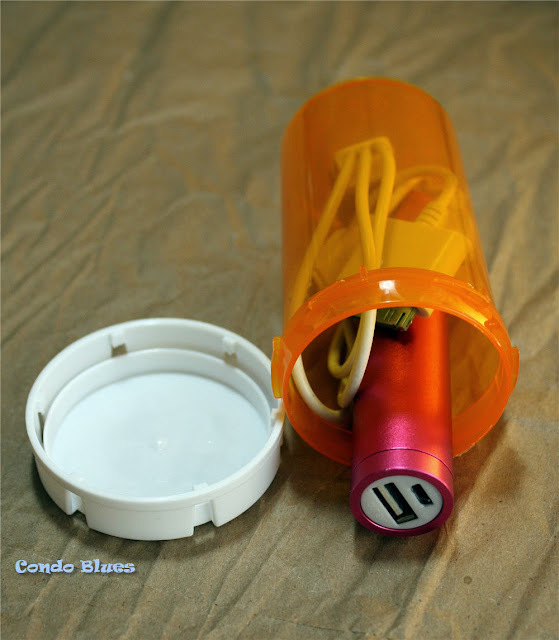 A pill bottle keeps my extra phone charger and cord together in my purse when traveling. 8. Hold earrings and jewelry when traveling – No more tangled necklaces or lost earrings! 9. Hold your favorite teabags in your purse or desk at work. 10. Hold shampoo and conditioner for leak proof travel. 11. Hold cotton balls or swabs in your suitcase. 12. Keep a cellphone emergency charger and cord together in your suitcase. You may have to ask the pharmacy, a friend, or Freecycle for a larger bottle depending upon the size of your charger. I don't recommend joining the Canine Cancer Club just to get big pill bottles. It is a sucky club to be in. 13. Make a mini sewing kit. 14. Make a mini first aid kit or to hold band aids. I carry a bunch of band aids when traveling because I always get blisters from walking. 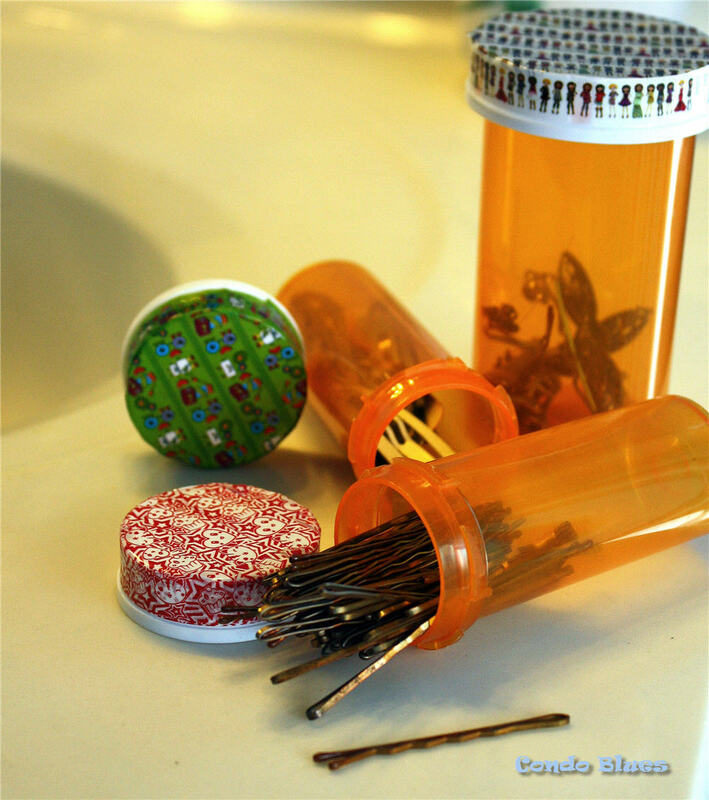 Organize Your Life with Upcycled Pill Bottle Containers! What I haven't used over the years of Grandma's bead stash plus some of my own additions. 15. Store beads and jewelry findings in the craft room. 16. Hold quarters and spare change – Heaven help the person who doesn’t put the all important Aldi quarter back in the car after grocery shopping! 17. 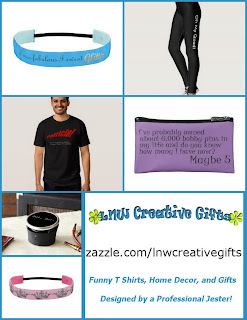 Ear bud holder – My ear buds don’t get tangled in my gym bag and most importantly I can find them when I need them! I used junk food washi tape to decorate the bottle cap because I always crave the worst junk food possible after a workout. Why is that? 18. Hair care organizer – I use old pill bottle to store, hair ties, bobby pins, and small barrettes in my bathroom drawer. 19. Storage containers for cake piping tips courtesy of the Barefoot Baker. 20. Store seeds for the following season. 21. Organize nails and small amounts of hardware in the garage. 22. To hold and keep track of small small game pieces like dice in the game’s box. 23. Organize small office supplies like paper clips, push pins and staples in a desk drawer. 24. Store rechargeable batteries Our charged set of batteries used to roll around loose in the drawer until we corralled them with old pill bottles. 25. Organize fishing, hooks, lures, etc. in a tackle box. 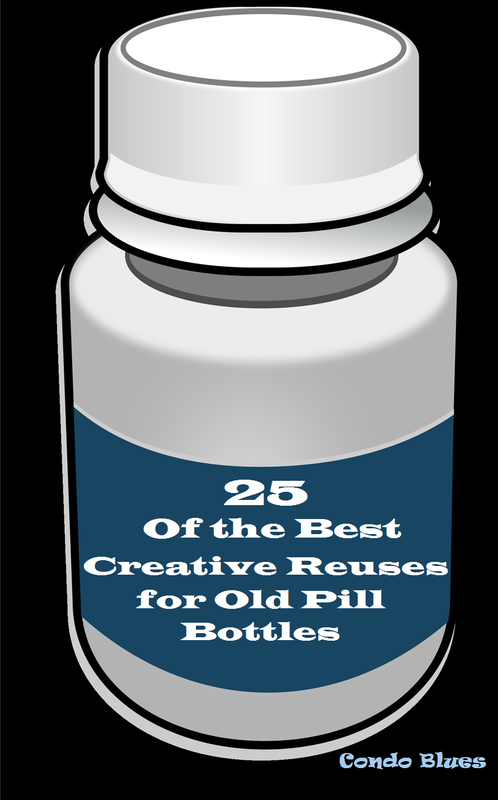 What do you do with old pill bottles? Toss them? Recycle them? 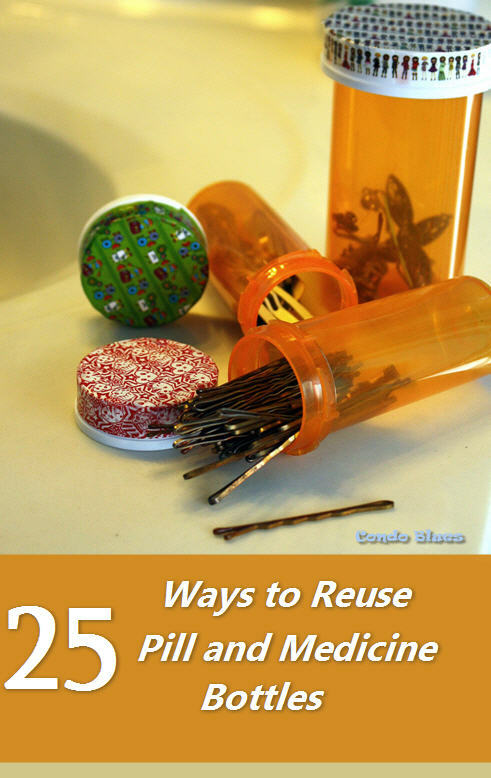 Reuse them? How? If you need more medicine bottle organizers than you have sick people in your house, check out the rec in the ad below!